If you had invested in Bitcoin in 2010, and despite the rocky road we’ve seen since the end of 2017, you’d still be sitting on quite a pile of money. So you must be wondering: with the recent generalized crash of all cryptos, isn’t there an opportunity to make an educated bet on the bitcoins of tomorrow? There probably is, and I’m going to help you do that. Bitcoin’s price history has been outstanding, however Bitcoin has suffered a few setbacks due to its increasing popularity. Transaction costs have kept increasing, developers and miners have quarreled on strategic choices, altogether making Bitcoin a bit less attractive in the long run. Don’t get me wrong, Bitcoin is still the king of cryptocurrencies, however if what we are looking for is outsized returns, there could be some other options. So, if experts agree that Bitcoin is unlikely to replicate its meteoric rise in the near future, is there any cryptocurrency out there that could provide such an amazing opportunity? And if so, which cryptocurrency should you choose? The easy answer up to now has usually been Ethereum, because of its intrinsic abilities to focus on multiple applications using blockchain technology. Maybe so, but there are many other contenders that deserve a closer look. So, our problem is simple: if we can’t know which cryptocurrency is going to explode, how do we make an educated bet? There are many places where you can find digital currency lists. I find the best one to be coinmarketcap.com. 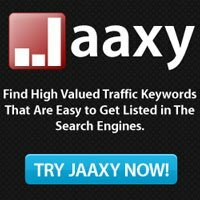 This website will give you a complete list that will include some useful information, such as Market capitalization, or 24-hour trading volume. Ok, so we have a list of potential digital coins, but there are probably more than 1000 references in there, so how are you going to tell which ones are worth a try? This step is not easy, because it is not purely quantitative. It’s also analytical. The concept is simple: if we want a digital currency that will explode, we need that currency to be backed by some kind of significant trend, or a specific community of people with common interests. Finding a crowd isn’t easy when the idea is to catch an early trend. Because early adopters are usually few. However, what you can look for is a growing crowd, or a crowd in the making, by focusing on the momentum rather than the absolute figure. What we are looking for are digital currencies (altcoins) with a purpose, and here’s a suggested list of my top 5 cryptocurrencies. The strength of Ethereum comes from its Development team. 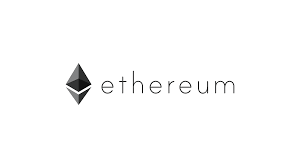 Led by the brilliant Vitalik Buterin, Ethereum was launched in July 2015, and has since attracted an amazing developer community. It is a decentralized exchange protocol that allows users to create smart contracts. Ethereum provides a platform from which to build applications that are based on the blockchain, and this is why it is so popular. Ethereum has attracted a growing crowd of investors, institutions and some of the worlds’s largest corporations such as Intel, Microsoft, Toyota, BP and many more. By serving as a platform for the creation of tokenized assets using the Ethereum chain, it is helping upstart companies raise funds in a global, instant and totally dematerialized way. These operations are called ICOs (Initial Coin Offerings). Smart contracts, ICOs, Ethereum is a platform that can solve many efficiency hurdles of the current corporate world. Ethereum has taken a bad beating this past year, but take a look at the volumes, investors are there and might be coming back. It’s also dirt cheap relatively to its price history. That clearly makes it my favorite for the long run. 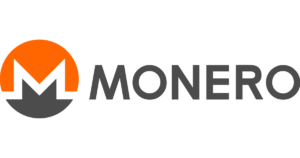 Monero is an altcoin focused on privacy. Launched in April 2014, it was initially named BitMonero. It’s main proposition revolves around security, privacy and untraceability. This digital currency operates in a collaborative manner, it is open-source and decentralized. Relying on the CryptoNote protocol, the system guarantees anonymity by allowing users to open a new wallet at each transaction. Which distinguishes it from Bitcoin. Dash was created in 2012 by Evan Duffield. As Monero, Dash also relies on anonymity, with an innovation called Darksend, aimed at making its transactions totally untraceable. It relies on Masternodes, computers that will execute many transactions simultaneously, which in fact will make it impossible to detect who is sending coins to whom. Being one of the most privacy oriented cryptocurrencies clearly makes Dash another serious contender to the digital currency top 20 list. Ripple has a unique architecture and has a totally unique concept, setting it apart from the other cryptocurrency pack. Ripple’s blockchain network enables transactions between banks around the world at transactions costs and speeds unseen yet. That’s the big idea behind Ripple. Currently the second most valuable currency, Ripple is built to solve payment problems. Unlike many other crypto currencies, it was not built on a opposition to fiat currencies, banks or institutions. On the contrary, it embraces these institutions by going at its pains. That in itself makes it revolutionary. Read this recent interview of Ripple CEO in CNBC. 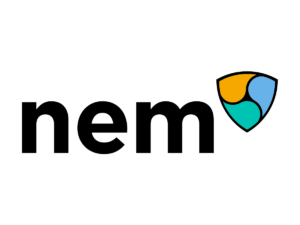 Nem is a peer-to-peer digital currency that was created in March 2015. Setting itself as “The Smart Asset Blockchain”, it pushes the performance of Blockchain to new levels. It is extremely popular in Japan and gets most of its traction from traders over there. It is now the fifth largest cryptocurrency in the world. So here are my top 5 picks in the digital currency list. But there are many more, and new ones keep coming in, so if you have any coin you believe should be in this list just drop us a comment below.